(Windows) On some monitors, the Windows taskbar covers the Print button. You can hide the taskbar so it appears only when you mouse to the very bottom of the screen. Right-click the taskbar and choose Properties. In the Properties dialog box, select Auto-hide the Taskbar, then click OK. In the Print dialog box, enable Print on both sides of paper, and choose an edge toFlip. There could be a scenario when a printer actually supports duplex and this option does not appear on Print dialog. In such cases, you may click on printer properties to directly access this option from printer preferences. • In the Print dialog box, enable Print in grayscale. • In the Print dialog box, click Size and then specify the scaling options. For step-by-step instructions, see Print Booklets and PDFs. You can print comments either in place (like sticky notes on a page), or in a list or summary. The default Protected Mode greatly enhances the security of Reader. To determine if Protected Mode is interfering with printing, temporarily disable it. Right-click the document, and choose Document Properties. Click Advanced, to view if protected mode is enabled. 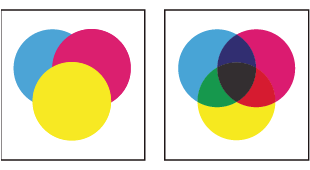 Color printers vary greatly in color reproduction quality. For that reason, proofs from a service provider are the best way to verify how the finished piece will look.